Another creature design for Bijoumon. 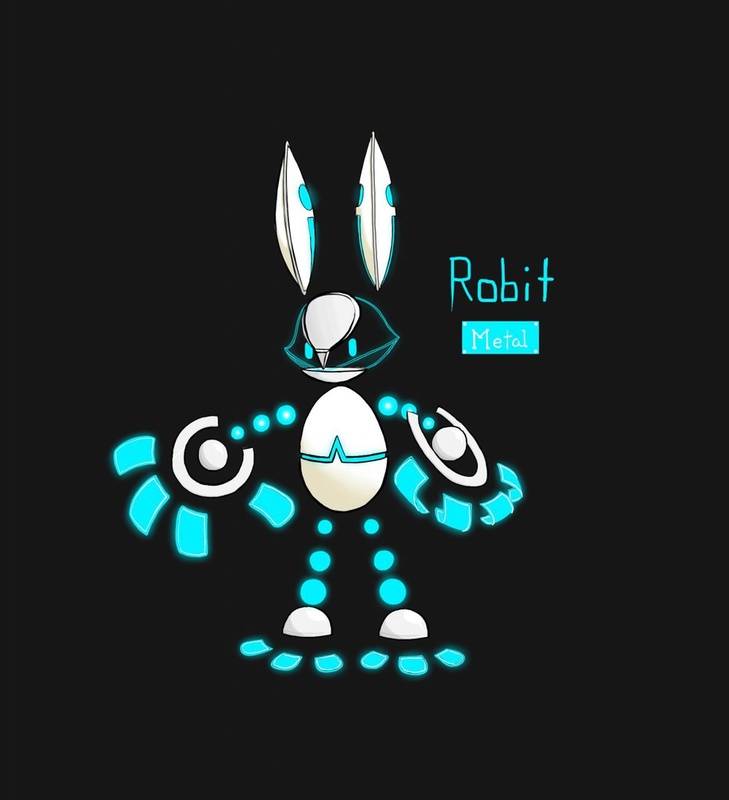 #1 - Built as a tutoring bot for children, Robits have unusually high levels of knowledge about a variety of subjects. #2 - Robits gained sentience when a single unit was struck by lightening, causing it's boards to fuse, unlocking higher thought functions. That one unit then passed on the 4R33W177 virus to other units via the wireless connection produced by their ears.